RICHMOND, VA — Effective September 1, it will be illegal to feed deer statewide in Virginia. The annual prohibition runs through the first Saturday in January. Any area where deer feed has been distributed is considered a “baited” area and cannot be hunted over for 10 days following the complete removal of the food. Deer hunting over bait is illegal in Virginia. Prior to the deer feeding prohibition, distinguishing between who was feeding deer and who was hunting over bait often caused law enforcement problems for the Department’s conservation police officers. People often treat the deer they feed as if they own them, even going so far as to name individual deer. Not only does this association diminish the “wildness” of “wildlife,” it also leads to a mistaken notion regarding ownership of wildlife. Deer and other wildlife are owned by all citizens of the Commonwealth and are managed by the Department as a public resource. Deer feeding now represents one of Virginia’s biggest wildlife disease risk factors. Deer feeding sets the stage for maintaining and facilitating the spread of disease. The youth pastor of a Manassas area church is facing additional charges after a second person reported that he had inappropriate contact with her when she was a teen. Jordan Baird, 25, was arrested Aug. 17 after Prince William County police investigated reports of an incident at Life Church, 11234 Balls Ford Road in the Manassas area, Prince William County police said in a news release. Police said a 16-year-old girl told reported that Baird, a youth pastor at Life Church, sent inappropriate text messages and inappropriately touched her one more than one occasion between January and September 2015. Police said the alleged incidents happened at the church. Baird, of Kelly Road in Warrenton, was arrested and charged with two counts of indecent liberties by a custodian. After investigating the second victim’s report, detectives obtained warrants charging Baird with a third count of indecent liberties by a custodian. He is being held on a $5,000 secured bond and has a court date on Nov. 15. RICHMOND, Va. (AP) – Virginia health officials say there are now 40 confirmed cases of Hepatitis A that are connected to frozen strawberries used at Tropical Smoothie Cafe locations across the state, up from 28 cases less than a week ago. The Virginia Department of Health said in a news release Monday that about 55 percent of the infected residents have been hospitalized. All the potentially contaminated Egyptian-sourced berries were pulled from the 96 Tropical Smoothie Cafe locations in Virginia no later than August 8 or August 9. Officials say more cases could emerge, since some symptoms take as many as 50 days to emerge. The Hepatitis A virus affects the liver. Someone shot up a King George police cruiser sometime Sunday or early Monday, authorities said, but fortunately no one was in it. Sheriff’s spokeswoman Kecia Wharton said a cruiser used by one of the county’s K-9 officers was dropped off at Devers Auto Center on Jersey Road in King George about 5:30 p.m. Sunday. At 8 a.m. Monday, a couple of deputies were at the auto center when they noticed that the cruiser had been struck by multiple bullets. The passenger’s side front window was shattered and there were at least two holes in the back, photographs show. Wharton said it appeared to be a drive-by shooting. She said it was clear that the police cruiser was targeted because none of the other vehicles on the lot were hit. Wharton said the Sheriff’s Office frequently has its vehicles serviced at Devers and she doesn’t recall any prior incidents. “Any time it appears that our profession is being targeted, it’s obviously concerning,” Wharton said. Sheriff Steve Dempsey sent out a message to all his employees reminding them to be extra vigilant while making their rounds. Anyone with information about the incident is asked to call the Sheriff’s Office at 540/775-2049. Washington Gas crews are on the scene of a gas leak first reported Monday evening. Prince William Fire and Rescue crews were dispatched to an outside gas leak at the intersection of Liberia Avenue and Signal Hill Road at 4:36 p.m. Monday, assistant chief Matt Smolsky said. There was a leak in an 8-inch gas main, Smolsky said. The incident caused minor traffic delays at the intersection, but no disruption of gas service to nearby residences or businesses, he said. There were no forced evacuations, but a nearby day care closed at the recommendation of the gas company “due to the odor,” Smolsky said. Washington Gas crews were still on the scene of the gas leak early Tuesday morning and expected to have most work done later in the morning, Smolsky said. An Elkton woman has been charged in connection a hit and run crash in Greene County. The Greene County Sheriff’s Office arrested 65-year-old Judy Breeden on Friday, August 26, charging her with felony hit and run. Investigators believe Breeden swerved on Spotswood Trail around 9 a.m. Saturday, August 13, hitting a 40-year-old bicyclist from Albemarle County. Authorities say the victim suffered severe injuries. The sheriff’s office says an investigator received a tip, and located Breeden’s vehicle. Breeden was released on a $5,000 bond. With help from the community Investigator Murphy of the Greene County Sheriff’s Office received a tip on Wednesday 8/24/16 about a possible vehicle matching the description. Investigator Murphy followed up and located the vehicle. The vehicle has damage consistent with the accident. On Friday 8/26/16 an arrest was made in relation to this accident. Judy Breeden, a 65-year-old resident of Elkton, was charged with felony hit and run. Mrs. Breeden was released on a $5,000 unsecure bond. On Saturday 8/13/16, at approximately 9:05 a.m., on Spotswood Trail (33) west bound just prior to parkway overpass; Rockingham County line, an individual was struck by a motor vehicle while riding a bicycle. A 40-year-old resident of Albemarle County was riding a bicycle with a group of individual’s crossing over the mountain. Some of the group had stopped along the side of the roadway. While stopped the victim was struck by a 2011-2015 Ford Explorer dark in color with unknown license plate, veered off the roadway to the right shoulder, striking the victim causing severe injury. The vehicle then veered back onto the roadway and continued west into Rockingham County. The Greene County Sheriff’s Office is asking for help to identify the suspect vehicle. The vehicle will have damage to the passenger side mirror and may have scratches along the passenger side. Anyone with information is urged to contact the Greene County Sheriff’s Office Investigations unit Investigator Scott Murphy at (434)985-8682 ext. 235. A 15-year-old boy is accused of brutally beating his foster mother and her husband’s 86-year-old aunt with a wooden baseball bat Friday night in Stafford, leaving both women badly injured, police said. Ann Marie Francise, 42, was flown to VCU Medical Center in Richmond, where her husband said she was in stable condition Sunday after undergoing surgeries on her arms and her eye. Alfredo Thompson said his wife also has severe damage to her face, but it was too swollen for immediate surgery. Thompson said his aunt is in Mary Washington Hospital with serious facial and other injuries. According to Stafford Sheriff’s spokeswoman M.C. Morris Moncure, deputies were called to Carriage Hill Drive at 9:07 p.m. They found the younger woman in the front yard being tended to by a neighbor; she was bleeding profusely from her head and face. Deputies searched the home and found the older woman at the top of the steps, also bleeding extensively from head and face trauma. They also found a baseball bat with a significant amount of blood on it. The suspect, who is not being named because he is a juvenile, was found at 10:50 p.m. walking in the 1400 block of Truslow Road. After being questioned by detectives, Morris Moncure said, he was charged with two counts of aggravated malicious wounding. Aggravated malicious wounding for an adult carries a penalty of 20 years to life in prison. A prosecutor could decide to seek to have the boy tried as an adult once the case gets to juvenile court. Thompson said the boy had been in his home for about six months and had caused no serious problems until Friday. He said the suspect had spent a week with his grandparents before returning to the home Friday morning. “None of it makes any sense,” said Thompson, who said he and his wife have been housing foster children for about five years. Shaq Richardson, Francise’s brother, said it was his understanding that his sister suffered a broken jaw and arms, a shattered eye socket and cheek bones and lost teeth. Family said Francise is a small woman while the suspect is well over 6 feet tall and 280 pounds. Thompson said he had talked to his wife about an hour before the attack. He was about 15 minutes from home when a neighbor called and told him that she was outside and badly injured. Thompson credited his wife’s “survival instinct” for her being able to get outside and get the attention of a neighbor before collapsing. Morris Moncure said the boy is being held in the Rappahannock Juvenile Detention Center. Fairfax County police are asking for the public’s help in identifying a vehicle involved in a fatal hit and run crash in Reston Sunday. Police were called to the scene of the crash involving a pedestrian at the intersection of North Shore Drive and Village Road about 5:15 p.m. Sunday, Fairfax County police said in a news release. A pedestrian, later identified as 76-year-old Hung Soon Seo, was crossing North Shore Drive when she was struck by a newer-model black Nissan Altima, or a similar vehicle, with tinted windows and silver trim on the front police said in the news release. Seo was not in a crosswalk, police said. Police said the vehicle did not stop ad fled the scene. The intersection is a four-way intersection controlled by stop signs, police said. Seo was taken to Inova Fairfax hospital and was pronounced dead about 11:30 p.m., police said. Anyone with information about the crash is asked to call the crash reconstruction unit witness phone line at 703-280-0543 or contact Crime Solvers electronically by visiting www.fairfaxcrimesolvers.org or text-a-tip by texting “TIP187” plus your message to CRIMES (274637) or by calling 1-866-411-TIPS (8477), or call Fairfax County Police at 703-691-2131. Article written by InsideNova, to see this and other related news in your local area please follow the link. The Harrisonburg Police Department is requesting assistance from the public in identifying two suspects who were involved in making a fraudulent credit card transaction. 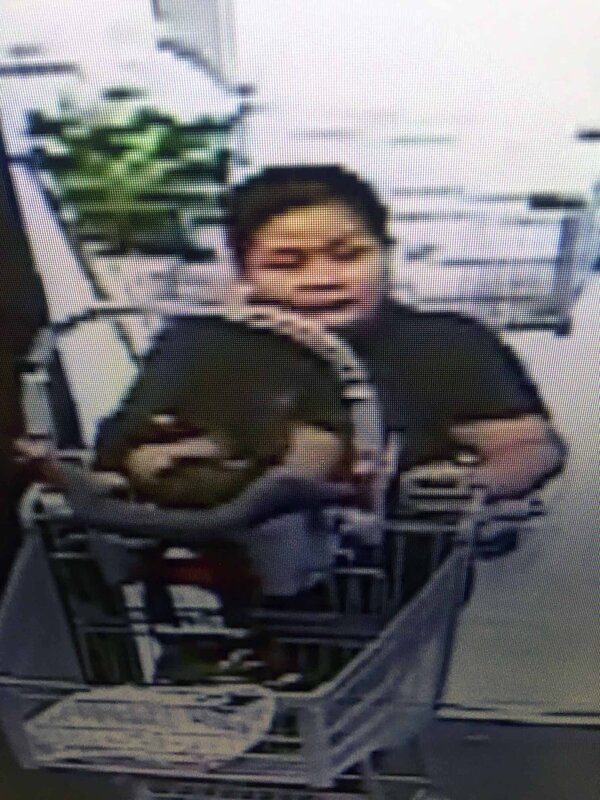 On July 28, 2016 a Harrisonburg resident reported to HPD that she lost her purse while shopping at the Food Max located at 924 West Market Street. 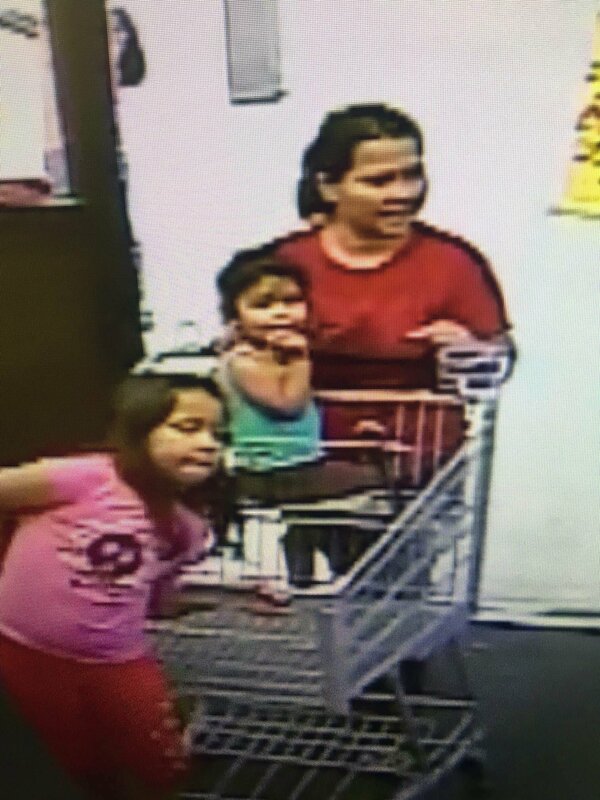 Security video shows two adult Hispanic females who located the purse. The contents of the purse included a wallet with a small amount of cash and credit cards, among other items. The victim learned that a fraudulent charge of $200 was made to one of her credit cards a short time later. Attached are photographs of the two females who picked up the purse. At the time of the incident there was an adult Hispanic male and three small children with the suspects as well. The Harrisonburg Police Department requests that anyone with information pertaining to this case contact the Major Crimes Unit at (540) 437-2640. Callers can provide anonymous tips at CrimeSolvers: 540-574-5050 or text “HPD” plus the tip to CRIMES (274637). Witnesses are reminded that CrimeSolvers may award monetary compensation for providing pertinent information regarding this or other criminal investigations.